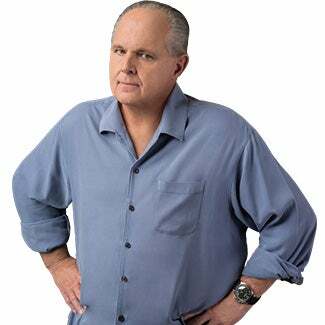 RUSH: Still trying to figure out exactly what happened to cause the vote. It was 81-18 in the Senate. They only needed 60. So whatever happened, Democrats ran like crazy to get on board this thing and reopen the government. Now, I’m here to tell you that the Republicans did not change anything that they offered. Trump wouldn’t even talk to Schumer over the weekend. Now, I’ve got the various offers that were made here. I have got the Republican… There were three different ways the Republicans went to the Democrats to try to prevent this shutdown from happening, and the Democrats rejected all of them. Whatever happened is yet to be unearthed and discovered by me to my satisfaction. But it certainly looks at first blush here like there was a spine, a backbone from the Republicans for the first time in I don’t know how long. I can’t think of the last time the GOP won a shutdown showdown. I don’t know when the first time was. This probably was it. So maybe going forward the Republicans won’t be so afraid of the Democrats shutting down the government. It could end up being a paradigm shift. We’ll have to wait and see. Now, this is Schumer. This was on the Senate floor during the first hour of the program. SCHUMER: The White House refused to engage in negotiations over the weekend. The great, deal-making president sat on the sidelines. Despite and because of this frustration, I’ve been having conversations with the Republican leader over the weekend about a path forward. After several discussions, offers, counteroffers, the Republican leader and I have come to an arrangement. We will vote today to reopen the government to continue negotiating a global agreement with the commitment that — if an agreement isn’t reached by February the 8th — the Senate will immediately proceed to consideration of legislation dealing with DACA. The process will be neutral and fair to all sides. It is a good solution, and I will vote for it. RUSH: I’ll tell you what it is. It is nothing that was worth shutting down the government for. If that’s it, that’s not a single thing worth shutting down the government for. You know, I have a much different view of what’s going on here. This is not about the government shutdowns per se, and it’s more than the Democrats just executing a page from their playbook. You know, “Shut down the government! Shore up support from the middle class, the lower middle class. The little guy is being made to believe the Democrats are looking out for him and cares for him; the Republicans don’t. “The Republicans only care about Big Business! Republicans don’t care if people get sick, don’t care if people die. Republicans don’t care if welfare checks go out,” all of that rigmarole. And yet the Democrats couldn’t stick with this through the weekend. Really, they don’t have much of anything to stand on here, folks, other than Trump hatred and their hope that they can convince as many Americans as they can to also hate Trump enough to vote against Republicans every chance they get in whatever election. The next ones being the midterm elections for the House and one-third of the Senate. I think something hasn’t changed on the Democrat side, and I think it began in Obama’s first term and Obama even announced his intention, and that is to transform America. Now, what that means when it’s uttered by somebody like Obama or a radical leftist Democrat — and, by the way, these Democrats have become so radical, they have become… From mainstream Democrats, Chuck Schumer, Pelosi, all of them over there have become so radical, you can’t negotiate with them. In fact, I grew so sick and tired of hearing about this. Why are there any negotiations over people who are breaking the law? Yet there are. And why? Why are the Democrats so hell-bent on this? 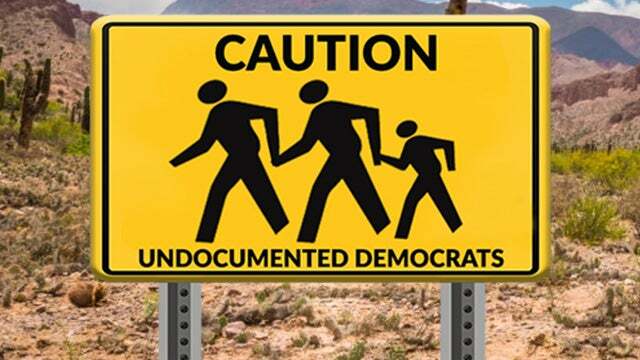 Why are the Democrats so hell-bent on staking their political fortunes to illegal immigrants? Ask yourself that question. Why are they so eager, so willing, so all-in to do that? There has to be a reason. And it’s beyond the need for a permanent underclass for the sustainability of the Democrat Party. It’s certainly that, but there’s much more than that going on here. When you eagerly, when you want, when you are willing to stake your party’s future on a bunch of people immigrating illegally, who cannot speak the language, who cannot fend for themselves — they’re not employable — who do not have the ability to take care of themselves, who don’t have anything… They arrive here in abject poverty. When you are willing to stake your political fortune on that group of people — whatever the number. We can add ’em together. What is it, 11 to 15 million — or if you’re talking about the DREAMer kids, 3.6 million? But, whatever. We have a country of 300-plus million. The percentage of that 300-plus million that’s voting age is significant, and the Democrats are willing and even seem eager to invest their entire future in securing admission to the country for that group of people. I have to be very careful how I say this, because it could be easily demagogued. But I believe what I have believed since I first heard Obama begin to talk about America the way he did and his pledge to “transform” America. I believe that the modern-day Democrat Party has been taken over by the genuinely radical left, and I believe these people think that America must be destroyed as founded. Now, don’t misunderstand. I’m not saying they want to get rid of America. They want to get rid of the way it was founded, and you can find the evidence of this in every radical, leftist special interest group. You can find it in the feminist movement. You can find it in the radical immigration movement. You can find it in any number of left-wing constituency groups. And it is all rooted in a genuine hatred for the founding of this country and for the people who founded it — who they were, what their race was, what their agenda was. The attempt is to establish this country has unjust and immoral from the beginning, because of our slave past, because of the discrimination against women, discrimination against people who were not white. This is what they believe. They have been taught this, and now they are teaching it themselves to other young people. They are teaching a hatred for this country as founded. And it is their objective to, quote-unquote, “change it, transform it, or overthrow it.” And key to doing that is bringing in people who have no ties to the American founding, who have no romantic ties to it, no political ties to it, no knowledge of it. Certainly no reverence or respect for it. Why do you think the Democrats support every group that protests this country? They embrace them! From Black Lives Matter to the NFL players to take your pick. Any group that opposes this country is embraced not just by the Democrats, but by the media. It is as though they are furthering the idea that this country is deeply flawed, in need of a total reconstitution and rebuilding because it left out all of the so-called minorities from the day it was founded. That it was a country set up for the relative few and their sustainability with a capitalistic system that is unfair to the vast majority. So we have a bunch of people pushing socialism/communism as a new way, and in fact if you look at surveys of Millennials you’ll find that 76% of them consider themselves to be socialists and think it’s a good thing. That is what they’ve been taught. The people teaching it to them were taught that themselves when they were in school, and this is how the Democrat Party has become uber-radicalized. And at its base, at its foundation is a deep resentment — and in some quarters a hatred — for this country. So any time, you know, be it a bunch of women putting on those pussai hats and running around, raising hell, and criticizing men for being men. Criticizing the idea of “maleness”? That maleness, that the existence of human beings as men is inherently a problem? Like, say, testosterone is a problem that needs to be eradicated and neutralized? Embracing these really extremely tiny special interest groups like the transgenders, gays, lesbians, bisexual, what have you? Any of these people that have grievances against this country have been immediately victimized, and their grievances have been taken up by the Democrat Party and the media and popularized. For the express purpose of being able to convey in the media each and every day the idea that this country is deeply flawed, deeply unjust, deeply immoral, and needs to be effectively — I don’t like the terms — overthrown, recaptured, transformed, what have you. And this shutdown, this attempted shutdown is coupled with one of the most irrational levels of hatred for a single individual I have ever seen. These radical Democrats in the House and Senate, radical leftist Democrat voters in the media, radical leftist college students have a singular personal hatred for Donald Trump that cannot be rationally explained. Before Trump was elected, they were already bent out of shape over things in general because they always are. Hillary Clinton was going to win, and the furtherance of the transformation of America was going to continue where the country was gonna be taken from the rich, from the Christians, and from the whites, and it was gonna be turned over to all the minorities. And finally, what they had been denied and how they had been discriminated against for over 200 years was going to be made right. And then Trump wins. And the hatred coupled with the already existing irrationality has produced — I don’t know what number — millions of Americans who have literally lost self-control. They have lost any semblance of being reality based and grounded. And they’re now off in these hellholes of hatred that has poisoned them that they are willing, via government shutdowns or whatever, to do whatever damage to this country would happen in their pursuit for continuing to transform it and gain control of it. And that’s the larger picture here. That is the larger universe in which all of these things — the Trump-Russia collusion investigation, the Trump obstruction investigation, the government shutdown. All of these little things that the Democrats and the establishment are attempting are all rooted in getting rid of Donald Trump and rendering his presidency irrelevant and nonexistent. Trying to keep track of this irrationality on a daily basis is an impossible task for rational people like us — and yet we must, and we continue to do so. By that, I mean track it, analyze, and inform people about it. The Democrats are now executing pages in their playbook that they’ve executed countless times before. Original technique, original strategies? There aren’t any anymore. The Democrats have become the most predictable group that we have. You know at what they’re gonna do, how they’re gonna do it, what they’re going to say if there’s a government shutdown on tap. You know how they’re gonna do, what they’re gonna do, and how they’re gonna say it. Pick your thing if anything else is on tap. And this shutdown, after being offered everything they claimed to have wanted… Everything! Don’t doubt me. I’ll run through the three various proposals the Republicans made before the shutdown happened. It reveals exactly what these people are all about. They are trying to generate, engender, create as much animosity for this country in the electorate at large, as they themselves feel and harbor on a daily basis. It’s gotta be tough to be these people, to get up every day so obsessed and consumed with anger and rage and hatred and never having any of it go away. And the only way it can go away is if other people are made to suffer. The country doing well does not satisfy them, does not please them. It scares them. A booming economy for the majority of the American people is not a good thing for today’s Democrat Party. The Democrat Party today needs suffering. It needs poverty. It needs illiteracy that it can blame on the existing power structure dating back to the founding of our country. It needs people that it can segregate into groups of victims who, by becoming victims, willingly surrender their own power to be self-reliant and instead transfer all of that to the Democrats. Talk to any group that’s been giving the Democrat Party its support for decades and ask ’em if their lives have gotten any better. Ask them if things are improving. Ask them if they’re less angry each and every day. And they’re not. And we have a media that is attempting to portray this irrational, poisonous hatred as what is normal, as what is the majority until this country, when it isn’t, either. RUSH: The State of California wants to register illegal immigrants to vote, automatically. Illegal immigrants to vote automatically in California. That violates existing law like nothing I can think of, and they still want to do it.